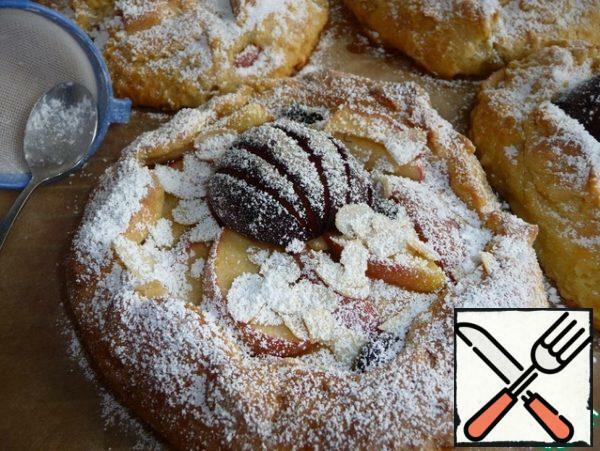 Crumbly galette shortbread dough with juicy Apple and plum filling, very tasty and nutritious. Apples and plum has not collapsed and turned to mush. Wonderful, delicate, plastic dough, which is very pleasant to work with. 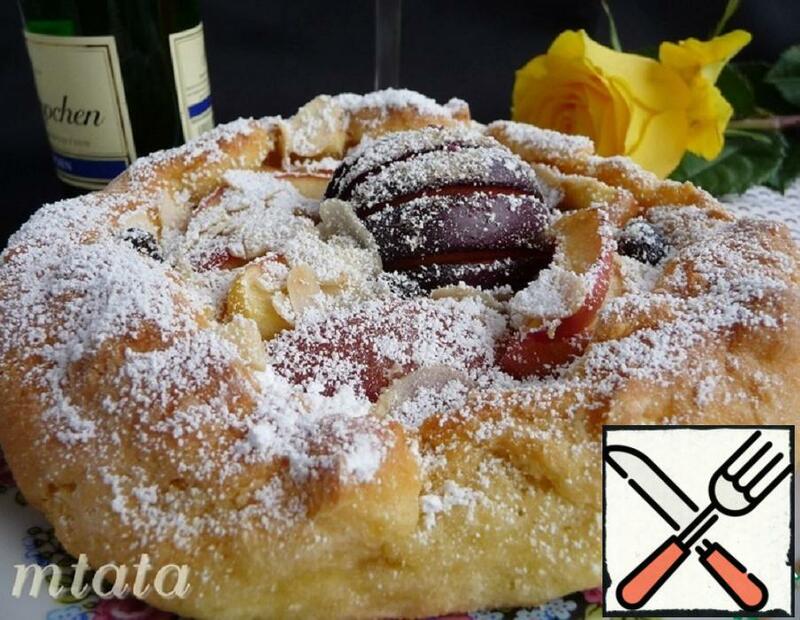 Apples for galette from cottage cheese dough, it is desirable to take semi-solid sweet and sour varieties. 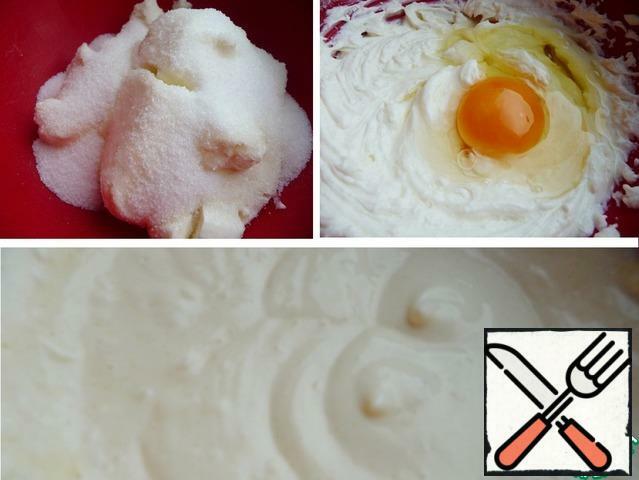 The idea of the recipe was found in the Internet, I am a little changed to fit your products. 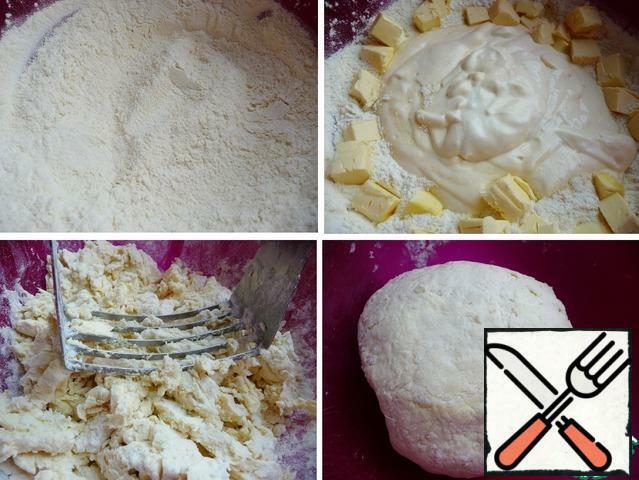 Cottage cheese, cream cheese mix. If the cheese is large, it you must first RUB through a sieve. Add salt, sugar, vanilla sugar, beat. Break the egg, beat again. The dough is moderately sweet, for the sweet tooth you can increase the sugar. In a bowl for kneading sift wheat and corn flour, baking dough. Add the curd-egg mixture and pieces of cold oil and chop. I'm kneading it with a dough cutter. If you need to pour ice water, I did not add. Quickly knead the soft dough. 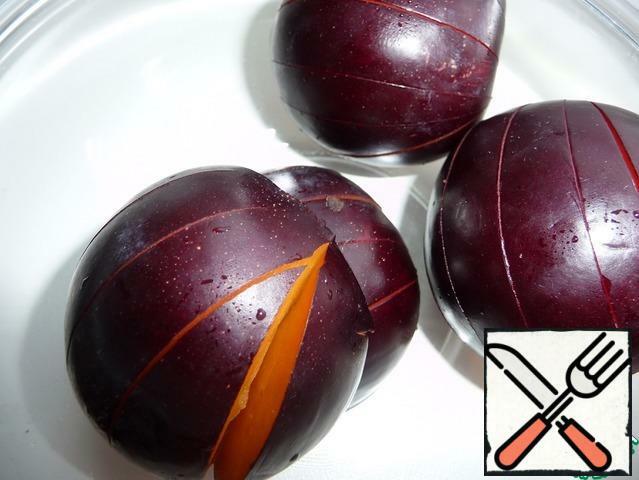 Wash the plum, cut into two halves, remove the bone and make cuts on the skin so that it does not break during baking. 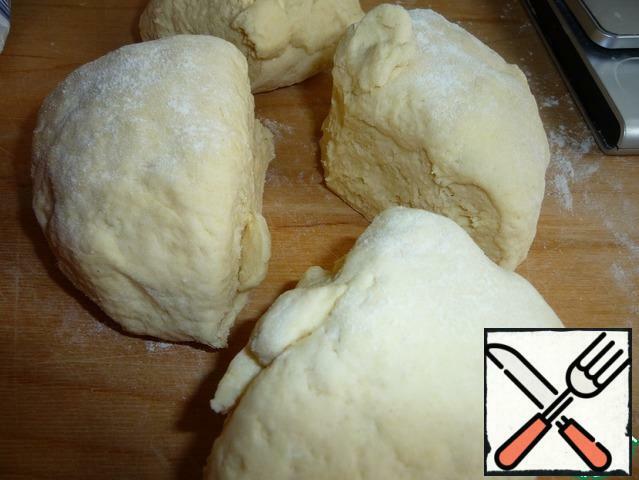 The dough is divided into four parts. Roll out one part at a thickness of about 4 mm. 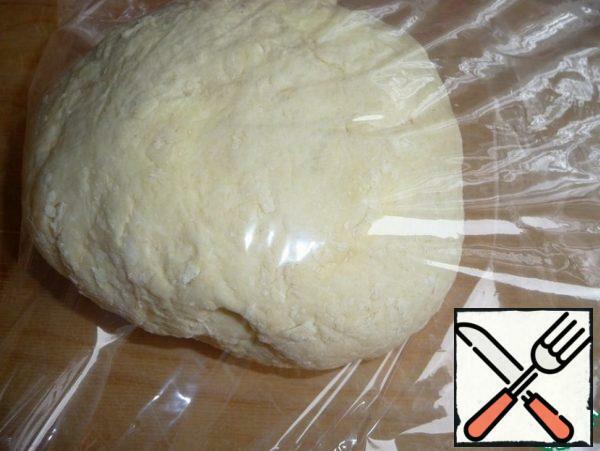 I rolled out the dough between layers of cling film, sprinkle them with flour. The rest put in the fridge. In the center pour the starch and sugar. 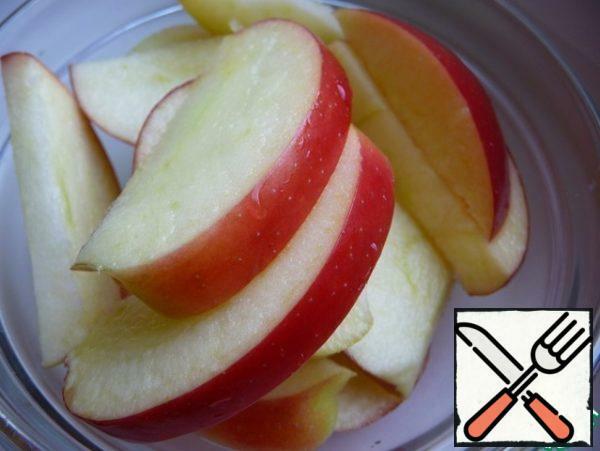 Lay sliced round thin slices of apples, not reaching the edges of 4-5 cm Plum to spread in the center. Add cranberries. 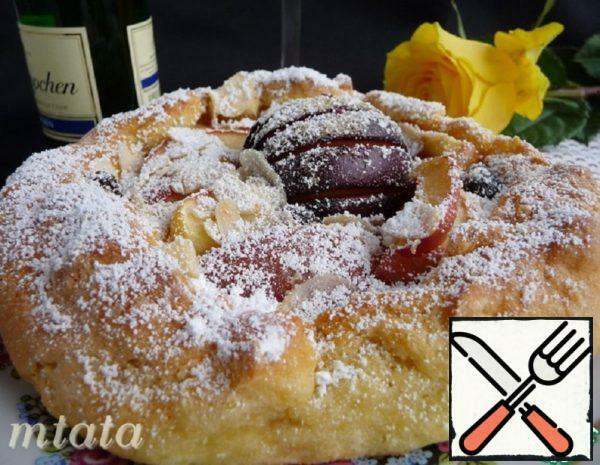 Sprinkle with sugar and almond petals. Wrap the edges of the dough to the center so that the middle was open, pinch the dough and press. 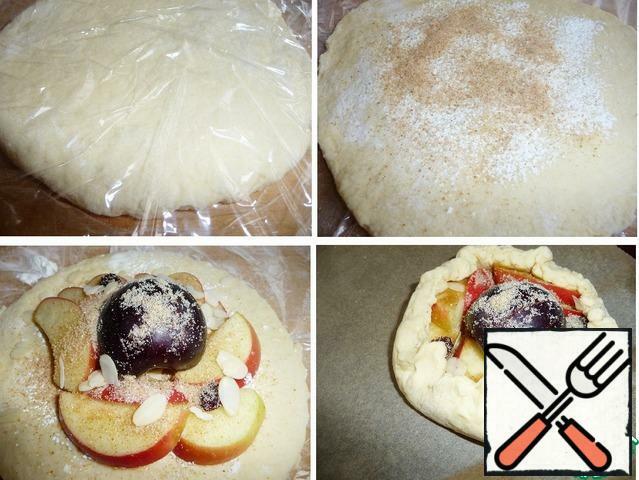 Put on a baking sheet with baking paper (I carried with a scraper and on cling film). You can prepare a biscuit immediately on baking paper, so as not to suffer when transferring. 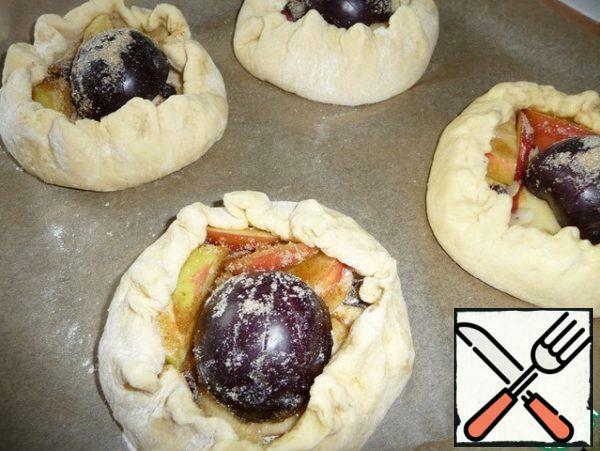 Bake galette in a preheated 180C oven for about 35-45 minutes until a beautiful Golden crust. Still hot sprinkle with powdered sugar. Enjoy your tea!! !